SNOWCHECK before April 15th, or don't get one at all!!! For young riders who are ready to hit the trail with their parents, tackle deep snow or cruise the backyard, ZR® 200 is the ultimate ride. It’s SSCC trail-certified and features electric start to deliver the next level of snowmobile experience. 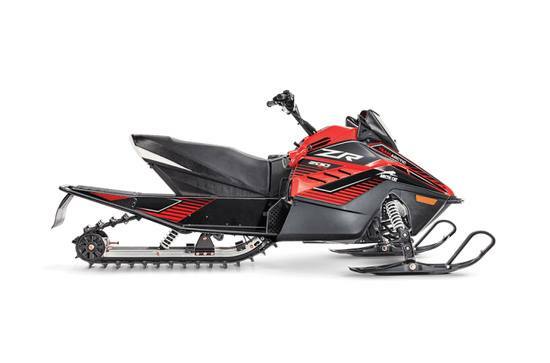 ZR 200: Trail-certified youth sled with a 192cc engine and electric start. 192cc 4-Stroke Engine: Don't let the size fool you. ZR 200 is packed with a powerful 192cc air-cooled, single-cylinder engine that doles out enough power for a fun day on the trail. Trail-Certified: The Snowmobile Safety and Certification Committee (SSCC) gives the ZR 200 a full trail certification that lets your young rider go almost everywhere you can go. Arctic 200 Drive System™: Get optimal power and performance with RPM-sensing drive clutch, torque-sensing driven clutch and belt-drive gearcase. 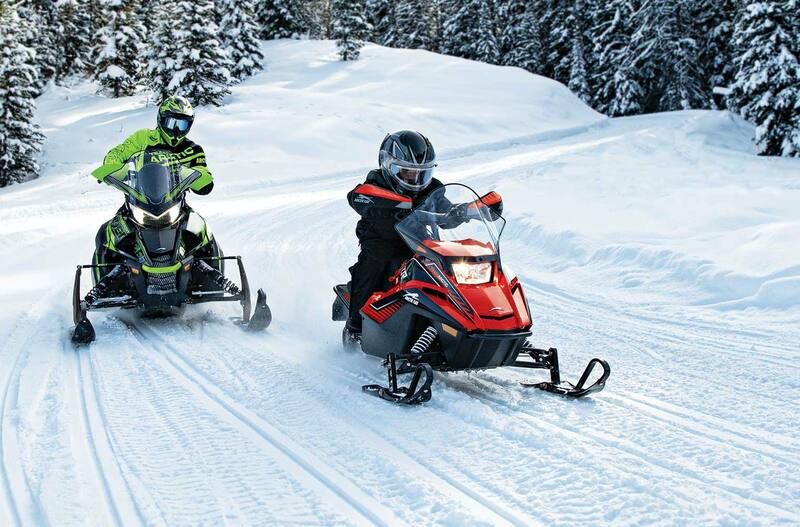 A-Arm Front Suspension: With 4.5 inches of travel and the reinforced strength of an A-Arm design, the front suspension gives young riders the same capabilities as our full-size snowmobiles. Slide-Rail Rear Suspension: With a full 8.5 inches of travel, this responsive rear suspension soaks up any bump on the trail to keep the ride stable and smooth. Cobra™ Track: 1.0-inch lugs deliver great traction and flotation in a full range of conditions. 29.5"-31.5" Adjustable Ski Stance: A 29.5-31.5-inch adjustable ski stance and deep-keel plastic skis lets you take your first corners confidently. Oil System Capacity: 0.6 qt. Overall Chassis Length: 84 in. Overall Chassis Width: 35-37 in. Overall Chassis Height: 36 in. Estimated Dry Weight: 210 lbs. Ski Type/Width: Youth - 5 in. 10 in. x 93 in. x 1 in.